UNC Pediatric Neurosurgery blends its resources as an academic medical institution with the family-centered care of a private practice. As one of only two children’s facilities recognized as a Level I Pediatric Trauma Center in North Carolina, we are capable of providing the highest level of expertise in treating critically injured children. One of UNC Pediatric Neurosurgery’s top priorities is to provide compassionate care. We offer a personalized, family-centered approach to your child’s treatment. We recognize and respect the important role that family plays as part of the health care team. To help achieve the best possible outcome, our pediatric neurosurgeons, Dr. Scott Elton and Dr. Carolyn Quinsey, work with a multi-disciplinary team of pediatric experts to develop a comprehensive treatment plan for your child. Each specialist shares their own perspective with the team for a more comprehensive understanding of your child’s condition and treatment. We use minimally invasive techniques whenever possible. We offer a robust clinical infrastructure to support your child’s care. An appointment is offered within a week for all pediatric patients. For more urgent issues, pediatric patients can be seen same day or next day by one of our neurosurgeons or our nurse practitioners. Our pediatric nurse practitioners and nursing staff are highly skilled and specially trained to care for our pediatric neurosurgery patients. 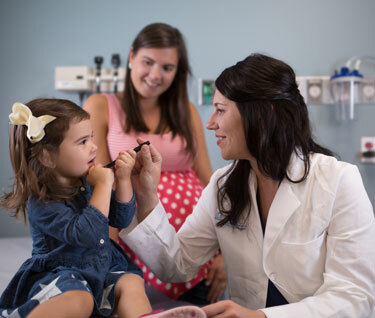 After your child leaves one of our clinics or hospitals, we will continue to work closely with your child’s pediatrician to ensure the continuity of care at home. UNC Children’s trauma program is noted as “exceptional” in the category of caring for patients with severe traumatic brain injury. We are one of very few programs using advanced flexible endoscopy techniques. In addition, we are the only North Carolina hospital to offer fetal surgery. 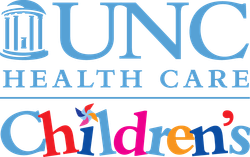 Our pediatric neurosurgeons see patients at our clinics in Chapel Hill, Raleigh, Pinehurst, and Wilmington. Click to find the pediatric neurosurgery clinic nearest you or call 919-445-2410 to schedule an appointment.